I have my daughter to thank for this wonderful book. She pressed this book into my hands, urging me to read it. 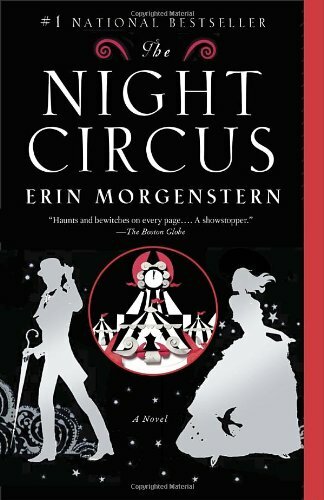 The Night Circus by Erin Morgenstern is one of those stories that defies attempts to properly review it. Part love story, part magical adventure, part alternate historical fiction, this book simply glows with well written prose. Taking place in pseudo-Victorian times, the story revolves around two people thrown together not out of love or need or desperation, but out of competition, and one that isn’t even their idea. The circus of the title is the venue for this competition, one whose rules are mutable and whose resolution is ever unknowable. Magic plays a large part in this story, not the cards-up-your-sleeve and rabbits-in-a-hat kind either, but real magic. A large part of the story deals with the consequences of using real magic in such a place as the Night Circus. That’s all I want to say about the story. Best you simply read this book at once. It’s a work of art. Rather, I want to talk about the writing. This is the kind of book that inspires me to become a better writer. The prose itself was almost magical, and the author has the gift of being able to create memorable and so very real characters, ones that you as a reader wish you could sit down with over a cup of tea and have a lengthy discussion. Morgenstern also has the ability to describe settings vividly, and I found myself easily seeing what she wrote in my minds eye. Placing strongly described characters within these settings made them all the more real. And the Night Circus is a place I wish I could wander and explore. In short, a very enjoyable book that would make an excellent film. I very much look forward to what the author writes next.